Hi friends! 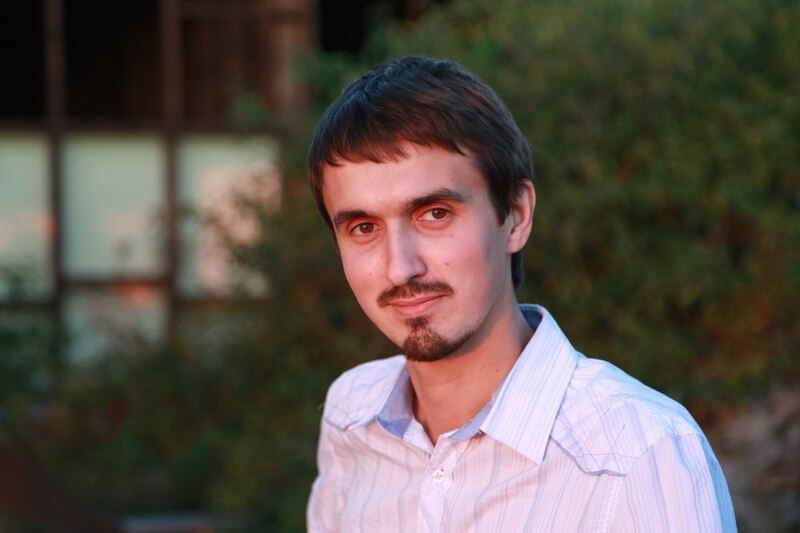 Today our guest is an awesome person and my good friend Vitaliy Polyakov. 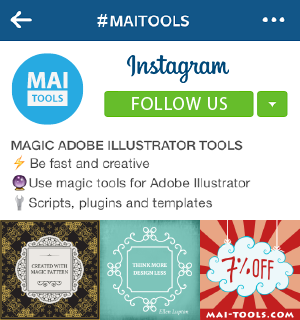 Vitaliy is the wizard who creates magic scripts in the MAI-TOOLS company (Magic Adobe Illustator Tools). Vitaliy is going to share the company’s upcoming development plans, and tell us how it all started; he will also suggest options for cooperation to those who might be interested in writing and testing scripts. More than that! He will share his secrets of efficiency as well. 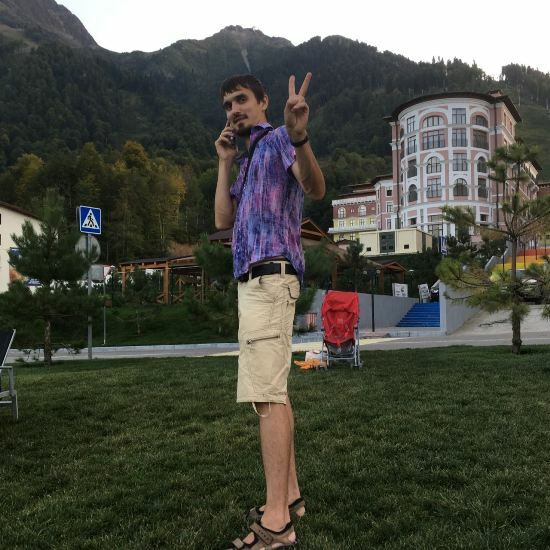 Vitaliy, we have been acquainted with you for a long time and to be frank, it feels weird to interview you but I think that people should know their heroes:) Tell us please a few words about yourself. What kind of a person are you? I’m 31. I’m a system administrator by my education and optimize any processes by vocation:) I worked for 10 years in my profession and then decided to be self-employed. I assist my spouse in her flower business (our group) and take care of our daughter and in my spare time I develop new scripts and fine-tune old ones for Illustrator. I’m on a high when I’m creating something, and I really like to observe how the things I’ve created work. I make programs, marketing campaigns or just step-by-step instructions for people. I’m not fond of doing something twice let alone three times. Oh yes, I remember that many years ago I used to be “Director General” and you worked for us as a system administrator! Now I’m a blogger, micro stocker and mum and you are Director General, scripter and dad:) How did it happen that you began to work as a scripter for Illustrator? I know the answer but let our audience hear it from the horse’s mouth. This is an interesting story. What happened next? They began to sell Script Magic Eraser in October in 2013. The next upgrade was made in summer in 2014. We planned to write a very convenient script with many patterns and a great deal of opportunities. But our work stopped, we had huge plans but too little free time. Nevertheless, the first script still worked, Anna and Roman used it. They suggested my selling that script in its light version so that other computer users could test it. So Magic Pattern Light emerged. Right around Christmas our potential customers were informed about this new script. People liked it not less than we. Sales were really good. We spent Christmas together and we were overcome with joy at every sale. After that I started devoting more time to creating new products, I started feeling I was getting good feedback from my work and more new products were made. In the middle of 2015 our income became more than $1 000 for the first time, we were really happy about it. My daughter Alicia was born in November of 2015, and I didn’t have much time for writing scripts anymore. I remember now with a smile that I was writing some of the scripts at night while Alicia was sleeping in my lap. 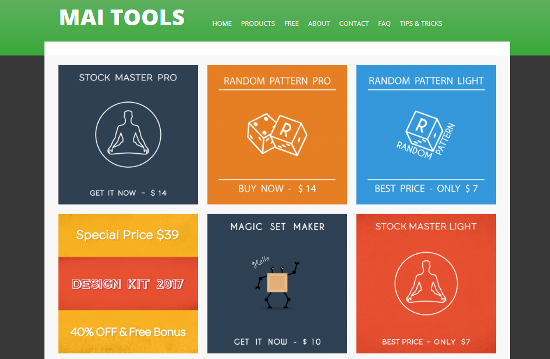 Now it’s November of 2017, so Mai-tools is already 4 years old! It’s hard to believe it. Nobody has thought of you when speaking about the company for all these 4 years. Why have you decided to come into highlight now? I don’t think anyone has concealed that it’s me who creates scripts. Recently we have understood that we can be even more useful and help stockers to save their time. But we have to know them better, to communicate to them more and to understand their needs. So this interview can be a starting point for that. This is good! Have you already thought what you are going to do next? What could we see from you in the near future? Right now I can say only that we are going to communicate more with our subscribers and potential customers. Let the way in which it will be organized stay a surprise. We have many ideas and gradually we will make them come to life. As far as the nearest plans are concerned I can say that a new upgrade for Stock Master Pro will be released soon. It will help to process files in batch mode – all files at once. Those who have already bought the script will get this upgrade for free. But all this will happen after holidays. I’m with my family, we are in the mountains. It’s a change of scenery; we observe a different life here. Dreams come true: it’s our second holidays during this year and this time it will last for three weeks and a half. Okay, if you don’t want to share the way you are going to communicate with your customers let it stay a surprise. I’m very happy for you that your dreams have come true. I see now that there is much activity in your Instagram account. It looks like you are holding contests there. Our Facebook group is also active nowadays. But it’s all only a beginning. We try different ways of communicating with our customers to see what our subscribers like most of all. Tell me about your cooperation with other programmers. As far as I understand you don’t write all the scripts yourself, you are open to cooperation with somebody who has necessary skills and interesting ideas. What are the conditions for this cooperation? That is right. We have more ideas for scripts than time for writing them all. We are open to cooperation with other programmers, together we can make the work of illustrators easier and more effective. Two new scripts have emerged this year. They are Random Pattern Light and Random Pattern Pro. Danil Trofimov has written them. These scripts have sold really well. Our conditions for cooperation are the following: a programmer suggests an idea of a script and writes it and we consult them, test the script, design our product, put it on the web site, support our users and advertise new scripts among our subscribers. The programmer gets 50% of the sales. 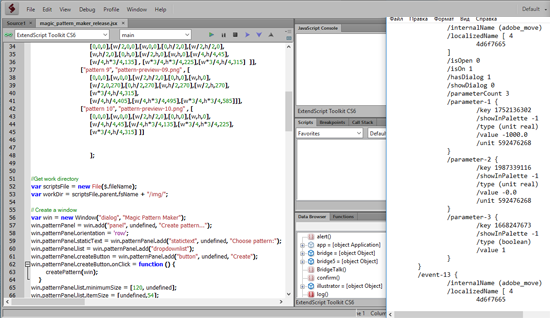 Now scripts make patterns, check our work and save it. Is it possible that they will start drawing too soon? For instance, I have seen that neuronets draw anime girls. Do you think that such technologies might make illustrators useless in future? Drawing anime girls isn’t really what neuronets are for. It looks more like creating a character in some computer game. I think that neuronets won’t substitute illustrators in the nearest future. One has to describe what is necessary clearly and the way the result can be estimated as well. But how could one describe it to neuronets? Is it really possible even if one uses a lot of key words and examples from stocks? Here is an article which gives an example of how a neuronet recognizes numbers from people’s handwriting. It was necessary to upload about 10 000 examples of handwriting to make it work, still it makes mistakes rather often. You are welcome to check it. In order to make a neuronet work one has to upload a lot of examples in it and programmers should work really hard too to make those examples useful for a neuronet. This task looks very difficult nowadays. It is therefore expensive too and its implementation is unlikely to pay off. I agree with you, perhaps it’s really too difficult. There is just so much information about clever nets nowadays. Recently we have come to know about many projects in which an artificial intelligence works as a designer. Well, time will tell what will happen. Let me ask you something about writing scripts for Adobe Illustrator now. Do you have any difficulties while developing them? I understand that you don’t have to work with 10 000 examples, but I would like to get a better idea of your work. The most difficult thing while writing a script is to figure out how to get past this or that feature of Adobe Illustrator work. For instance, latest Stock Master Pro gives a possibility to export pictures in Jpg. It seems to be a very simple command, and it is made with a few lines of coding. But there is a following peculiarity there: if you export pictures using the export menu then key words from the vector file are written well, but there is a limitation for the size of a file in dots. To get around this limitation one can use saveforweb mode in the script, but key words are not saved in this mode, therefore one has to record key words using other methods. So a small task becomes a huge one. It’s great you can cope with small and big tasks, with scripts and flowers too, with programmers and florists! You manage to find time for your daughter and your wife, you travel and you have time for an interview too! Perhaps, you are really a wizard:) Could you share secrets of self-efficiency with our readers? – In the evening I write a list of what I have to do tomorrow. I try not to plan too many tasks so that I could really find time for all of them and have some spare time as well. I prioritize tasks. – In the morning I get up without an alarm-clock (if there is no urgent work). If it’s dawn and I don’t want to sleep anymore it means it’s high time I got up. It helps me to work faster. – I start my work doing urgent tasks which will make my awesome future closer to me. I ask myself the following question: “Will I be satisfied with the result of my work today if I do only this task? Will I come closer to my goal?” If the answer is yes, then it’s the right task to start with. – I give a limited amount of time for every task. If a task can’t be done in an hour then it means I have to divide it into smaller tasks. – Then I do the tasks which give me great pleasure, they are programming and making processes of optimization. – I work for about 50-60 minutes and then I make a break for about 10 minutes for stretching. The Pomodoro Technique suits me really well. – When I work I have a task I’m focused on written in my notebook. I get many phone calls and I’m often distracted. So it helps me to return to my current task quickly and besides it’s clear what I have done during the day. – When there is only one hour left till the end of the working day I check the list of tasks and I postpone all the tasks which are possible to postpone till tomorrow. I finish all the urgent things. I look though mail and estimate new tasks. I make a plan for the next day. I analyze what I have managed and what I haven’t managed to do during the day, I think of what I could make better, what is my valued direction now and I write it all down. – For planning I use Todolist, it synchronizes with the phone really well. – I write all the tasks both work tasks and personal ones in Todolist. As the result my head isn’t stuffed with all those things. Everything that is not urgent is put in incoming tasks. – Once a week I look through all the tasks. I decide what I have to do during the week and what I have to cancel. I look through overall objectives; adjust future big goals and taking it all into consideration I make a plan for the week. – The most difficult thing for me is to stop trying to do an endless amount of tasks a day. It’s not the quantity of tasks that matters but quality of work. Routine is endless and the more you are engaged with it, the more you have to do still. I have decided to devote more time to optimizing processes to decrease routine tasks. Ideally I would like to delegate tasks which are not interesting or too difficult for me to others. Everyone should do their job. You should do something that you really like to do. Then your efficiency is high and your heart sings. It’s awesome! Thank you! I really want to thank you for sharing your time with us and for being the kind of person you are:) If you wanted to engage in a dialogue with computer users it is high time you did it. 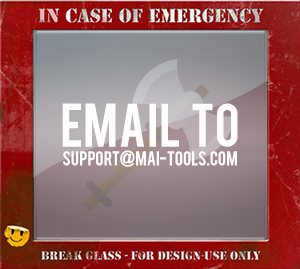 I think there are many people among our readers who use MAI-TOOLS scripts or are going to do it. Do you have any specific suggestions in that respect? Many thanks to all the people who use mai-tools for investing in our common endeavour. I’d like to express my special gratitude to those who send their ideas on improving scripts. Our project wouldn’t have existed without your support. I would like our project to be more useful to people but my resources are limited. There are only very few programmers who can write scripts for Adobe products but there are many people who need them. I’m ready to share my experience with you and to teach you how to write scripts. I might need your help for that though – please, tell me what routine work do you have to do on a regular basis? What would you like a script for? Send your ideas on what a script should do. We will choose the most acute ideas and I will teach you how to write a necessary script during a few lessons. 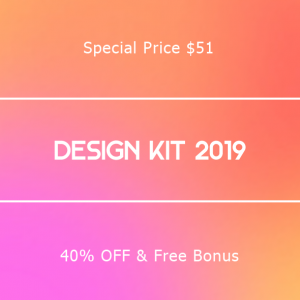 Thus you will get free scripts for your work and learn to make programs too. Let’s write scripts together! We are looking forward to getting your letter. It would be really great to have lessons! Vitaliy, thank you once again for your scripts and interview. Thank you for your attention! Best wishes! Anna Volkova and Vitaliy Polyakov.